Why does your hybrid car use more gas in the winter? Why does your hybrid car use more gas in the winter?. Gas prices are lower today, especially compared to the summer of 2008. Even with these lower prices, many Canadians are still interested in green driving and are purchasing hybrid vehicles to reduce their impact on the environment while saving money on fuel. During the winter season, hybrid drivers may have noticed that their once fuel-efficient vehicle is not as efficient as it was during summer drives. The good news is that this is normal and there is a reason for the reduction in your hybrid car’s efficiency. Hybrid cars get noticeably lower mileage in the winter months because of reduced battery performance and greater use of power-sapping heating. So Why Do Hybrid Cars Use More Energy In The Winter? 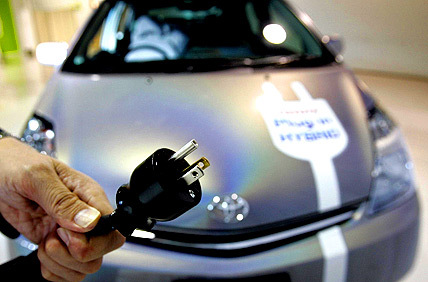 Your hybrid vehicle has 2 powertrains – an electric motor as well as a gasoline engine. When it’s cold outside your car’s batteries will be more sluggish. Batteries like warm weather and performance is reduced in colder weather because the chemical reaction that generates electricity occurs much slower which means that your hybrid’s batteries won’t be able to recharge or give power as quickly. When there is less power available from the car battery then your hybrid must take advantage of the internal combustion engine to power your hybrid. Because the combustion engine uses gas, you end up with a lower gas mileage compared to your summer driving that relies more on the battery power. Similarly, your hybrid may have an additional electric heater that provides a comfortable cabin for you and your passengers during cold winter days. When your battery power is reduced due to the slower chemical reactions, the combustion engine must kick in to make up the difference and deliver the power needed to prevent the battery from draining out. Furthermore, if your heat is set to a high setting then your engine will have to run more frequently and for longer in order to achieve the set temperature. This can cause your hybrid to use more fuel during the winter months compared to the warmer summer weather where your hybrid will be utilizing battery power more often. Hybrids Are Still Pretty Fuel Efficient In Winter In a nutshell, hybrids are still more fuel efficient than traditional non-hybrid vehicles in virtually all circumstances; however during the winter months the gap is shortened and the difference between the two categories is less noticeable. Hopefully your hybrid is still performing optimally for you and if you believe there may be an issue with you battery please give us a call and we can provide some insight into whether a repair may be necessary.